A lot has been said and a lot has been mixed up when it comes to performance marketing. Sometimes it is confused with affiliate marketing, sometimes with performance advertising, but this term “Performance Marketing” stands alone with its own meaning. So here I’m trying to make it very simple to you. Choose your objective: What do you want your users to do? Find out the journey: At which stage of consumer journey, you want to target your consumer? Discover the Hangout Space: Where does your target persona breathe? Explore benchmark metrics: Since you’re going to pay, which channel will give you the best result? Choose the right channel and refine your strategy: Go minimalist on Ad copies. Performance marketing is like buying an Ad space and paying only when someone reacts to it. The reaction could be a view (impression), click, engagement, lead or sale. You don’t pay unless and until when someone reacts. Unlike a billboard campaign, where you pay prepaid for the Ad space and you can’t measure directly the Ad reactions. This makes Performance marketing more accountable for the business. You can measure what is working and what is not. Which channel and which type of customer persona is reacting to your ad and what can give you better ROI. Since it is measurable to that extent, a large chunk of marketing domain, at least 60% is capturing this vertical. As such it becomes really important to master and win the tips and tactics of Performance marketing. Now since you can pay for either of the five reactions, you need to be logical at what time you’re spending where. Next, when you’ve figured out for what to do you want to pay (reactions) and for which stage do you want to pay (consumer journey), next is to determine the best Ad space to purchase. When it comes to bottle down your search on the Ad space, at first consider your customer persona. You have a B2B business where your product helps hiring executives to hire and manage employees. Here your target segment is “Hiring Partners, Hiring Executives”. If you pay for Twitter Ads considering it has a good reach, it won’t give you that result. Why? Because your customer persona doesn’t breathe on Twitter. On the other hand, if you consider LinkedIn to showcase your Ad, this might give you the expected result. Note: Be very cautious in identifying the digital patterns/ digital activities/ digital hanging spots of your customer persona. 2. You have a B2C business where you sell clothes to millennials. Here your target segment is “Millennials”. If you pay for LinkedIn ads considering you’ll find your customer persona here, you might end up paying more. Instead, if you choose Instagram Ad space, this will make more ROI. After clearly identifying your customer persona’s digital activities, you’ll find two types of hangout space where you can place your Ads. Social: Where they are socially active. Facebook, LinkedIn, Twitter, Instagram, Snapchat. 2. Digital: Where they are digitally active. Particular blogs, shopping websites, movie review websites, song websites. You can individually pay for social hangout channels, they have their ads manager and you can measure and monitor your Ads. For the digital hangout channel, you can either consider Google AdWords because that gives you an umbrella of several other websites, or you can consider affiliate portals or Ad Networks. Now you’ve a broad idea of which hangout channel do you want to consider for purchasing the Ad space. Next, you need to determine the standard industry metrics of these channels for your reactions. 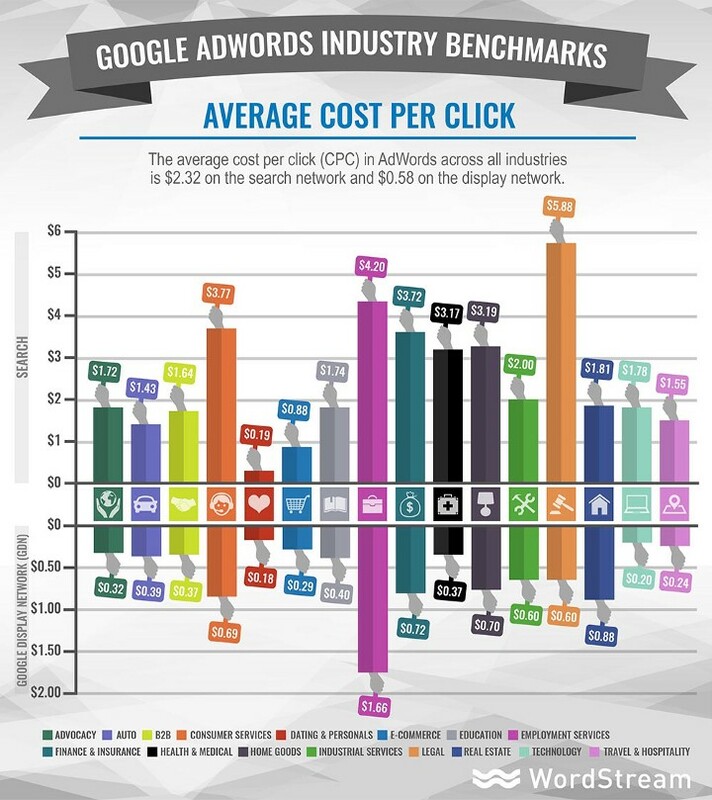 Let’s say you’ve chosen Google AdWords, look at the chart below to determine what’s the industry benchmarks. Once you’ve an idea of your industry benchmark, you can determine which channel would be more cost efficient for you considering — Customer Persona, Hangout Space engagement, and ROI. Select proper ad format: Video, Static text, Carousel Ad relevant to your Ad. If you wish to showcase an Ad of a particular book, hyperlink this to that particular book rather than hyperlinking to the home page. This helps in clear navigation for the user. A/B test on a single parameter — change age group in one ad, change interest in another ad but never change two parameters for the same ad. Add audience size > 100 to your remarketing list. These are 5 key strategies to give maximum ROI on your performance marketing. Next, in this series, you’ll read about benchmark metrics for performance marketing in detail. Thanks for reading! 🙂 If you found this worth, give me a clap. Would mean a lot to me and it helps other people see the story. PS: I’m currently helping companies in their marketing strategies across different verticals of digital marketing. You can reach out to me personally at kasturi.shrivastava@gmail.com or you can visit my creative marketing lab Digimusk.